(Riviera Beach, FL – November 16, 2017) – One of Riviera Beach Marina Village’s most prominent landmarks, Bicentennial Park (190 E. 13th Street, Riviera Beach, FL), will transform into an ‘outdoor cinema’ every third (3rd) Friday of the month as the Riviera Beach Community Redevelopment Agency (RBCRA) (www.rbcra.com) presents Movie Daze & Food Truck Frenzy starting November 17, 2017. Residents are invited to pack their chairs and blankets and join the RBCRA for a family-friendly, fun night out. Movie Daze mixes classic and modern featured films, such as “The Greatest Turkey Movie of all Times” (November 17); “The Grinch” (December 15); “Disney’s Frozen” (January 19); “Casablanca” (February 16); “Star Wars: The Force Awakens” (March 16); “Remembering the Titans” (April 20); “Johnson Family Vacation” (May 18); and “Marvel’s The Avengers” (June 15) to name a few. Food Truck Frenzy, features ‘restaurants on wheels’ where family and friends can enjoy a variety of food options while watching free family-friendly films surrounded by lush landscaping and stunning views of the Intracoastal. The RBCRA shows continued commitment to engage with and give back to the community through events such as Movie Daze & Food Truck Frenzy, the Riviera Market at Marina Village which takes place every Sunday from 9:00 a.m. to 2:00 p.m., water sports, eco-tours and more. 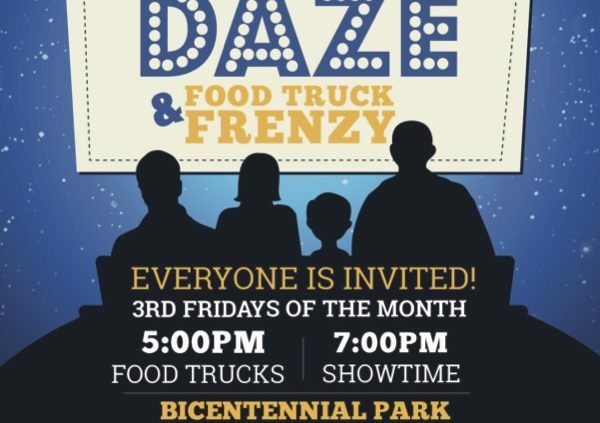 Food Truck Frenzy starts at 5:00 p.m. followed by Movie Daze at 7:00 p.m. Children under 14 must be accompanied by an adult. 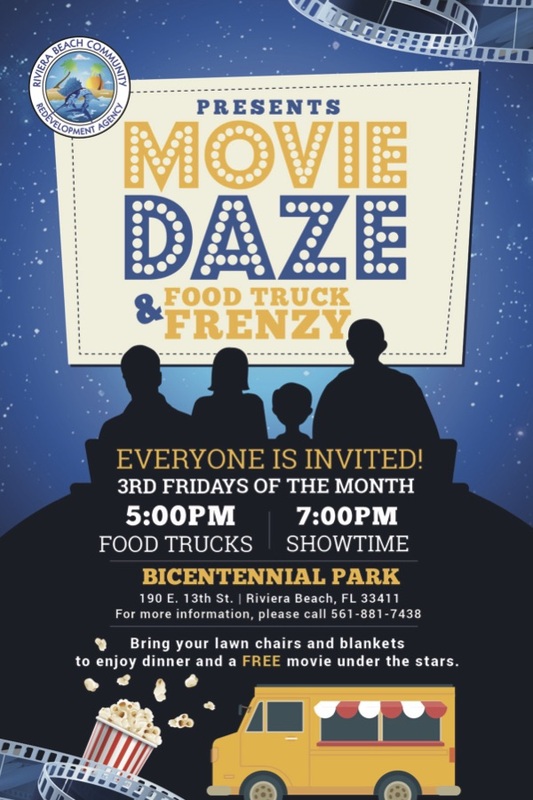 For additional information on movie listings and/or food truck displays, call (561) 881-7438 or visit www.rbcra.com.